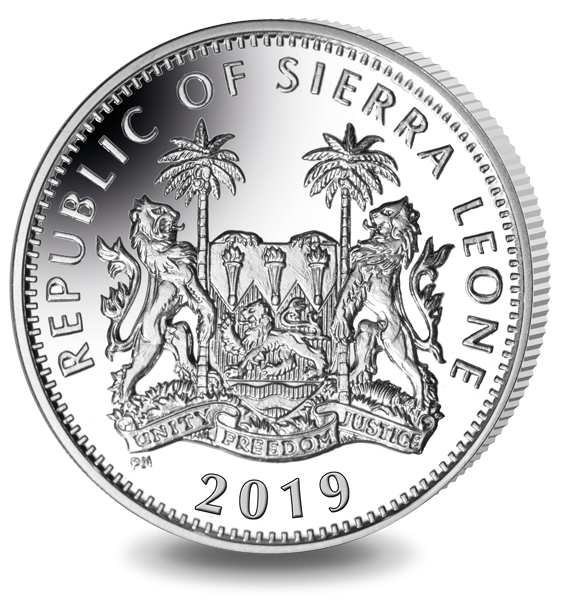 A new coin series featuring the 'big five' African animals has been launched by Pobjoy Mint, on behalf of Sierra Leone. The series launches with the elephant, with the other coins due to feature the other 'big five' animals - lion, leopard, rhino and buffalo. 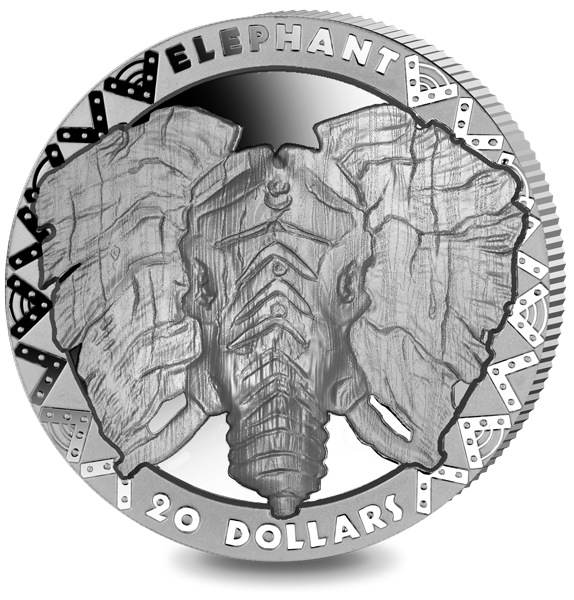 The first in the series is a 2oz fine silver coin with the head of an African elephant featured in high relief. Once used to describe a group of animals that were the prey of hunters, the 'big five' is now a term for animals that most people want to see on safari in Africa. The coin features the head of an Elephant styled as though it is an African mask. The special incised rim features an African pattern to continue the theme. This species can live up to seventy years in the wild and is communicative and sociable, using a wide range of sounds to communicate, some of which can be heard six miles away. The Elephant is probably best known for its amazing trunk which contains 40,000 muscles and is used to sense the size, shape and temperature of the object it touches. To order, visit the Pobjoy Mint website.